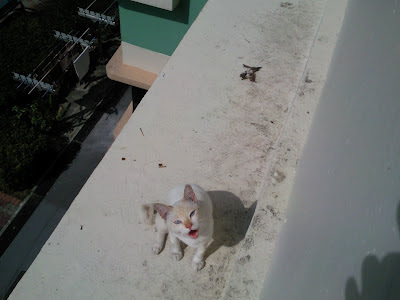 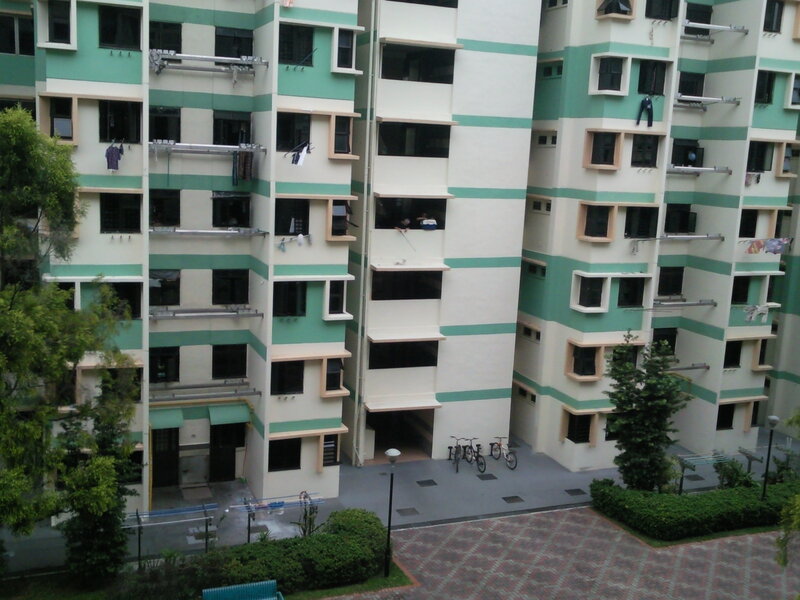 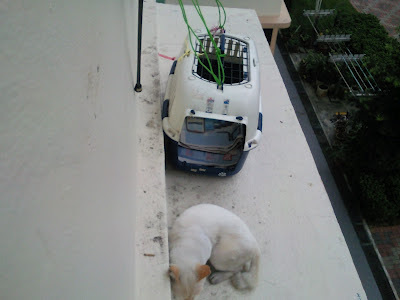 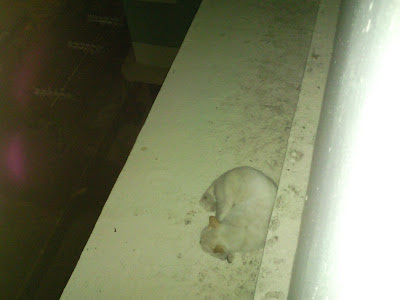 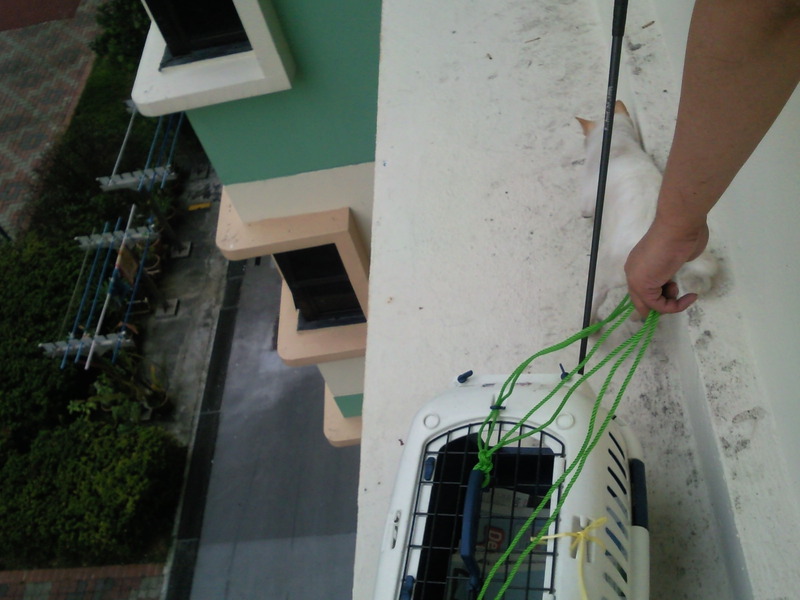 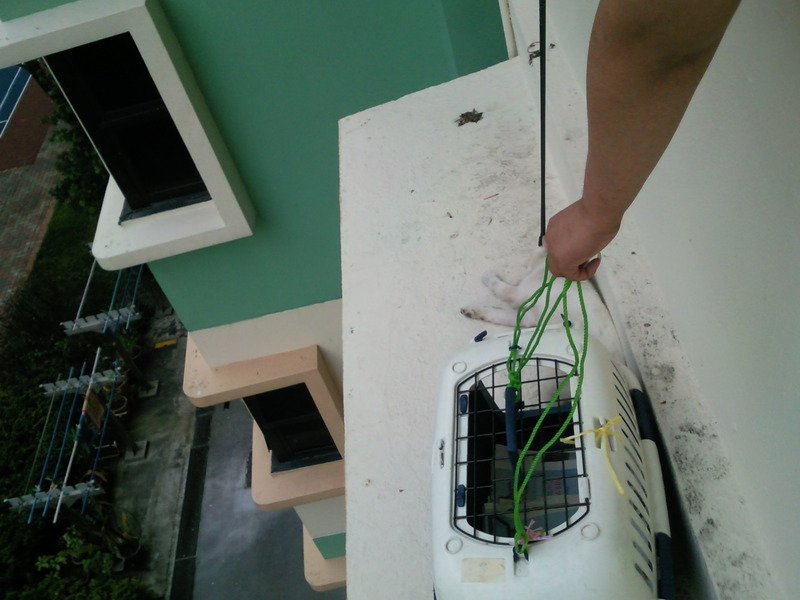 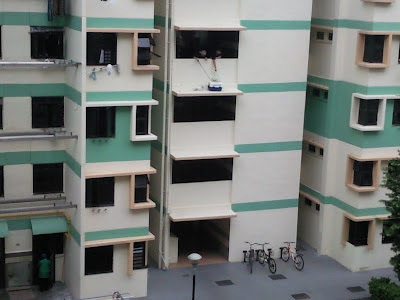 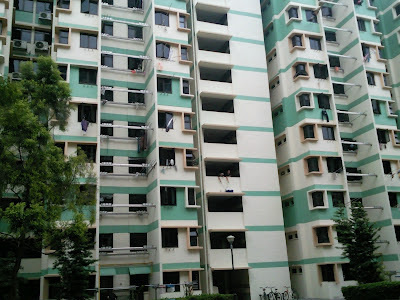 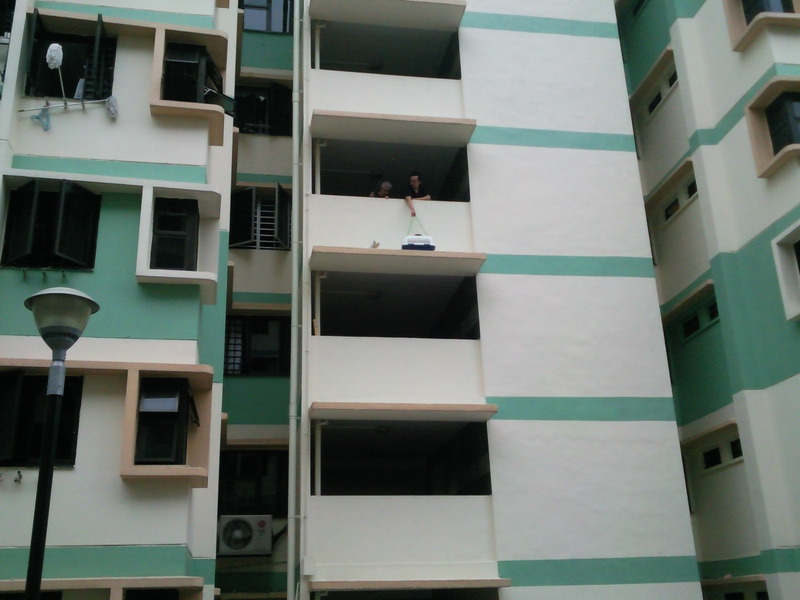 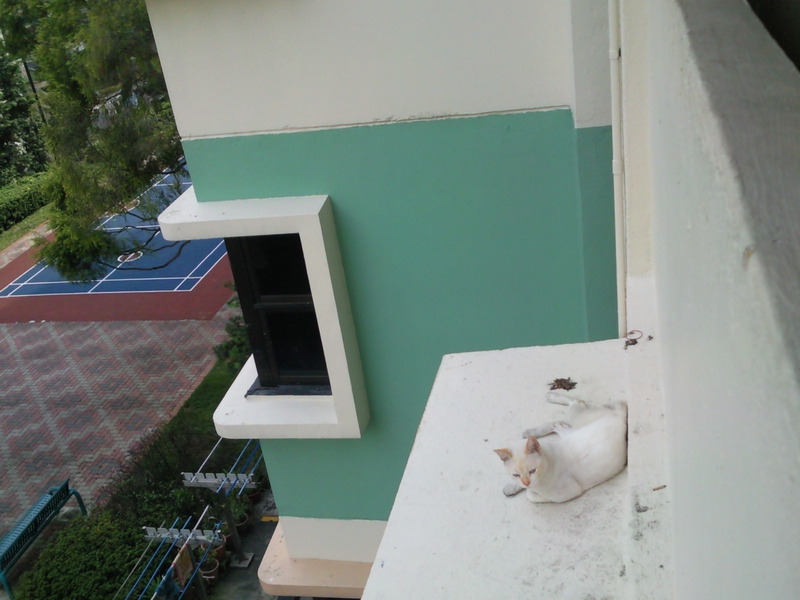 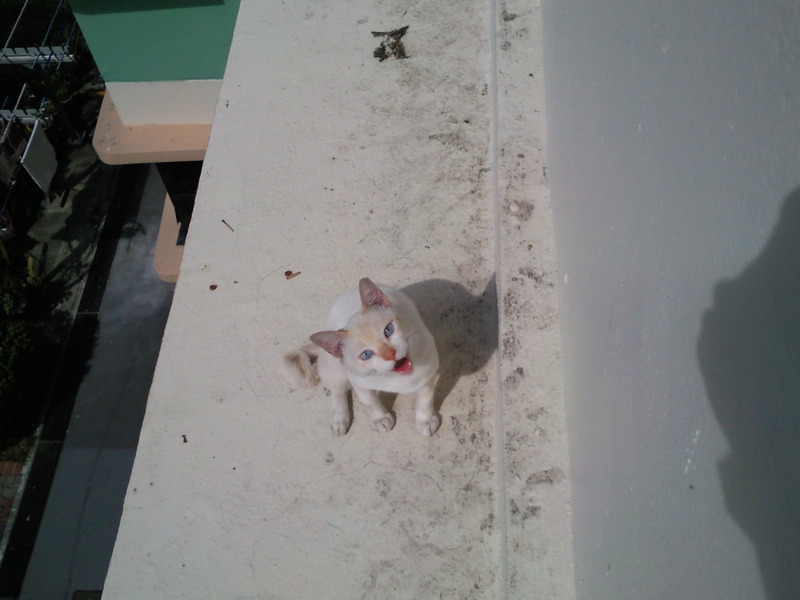 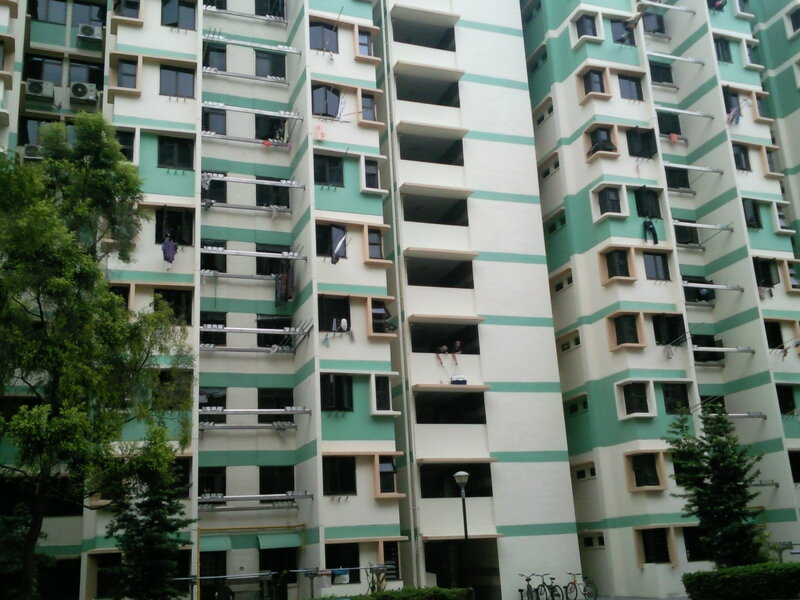 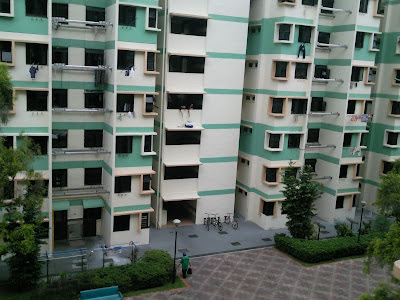 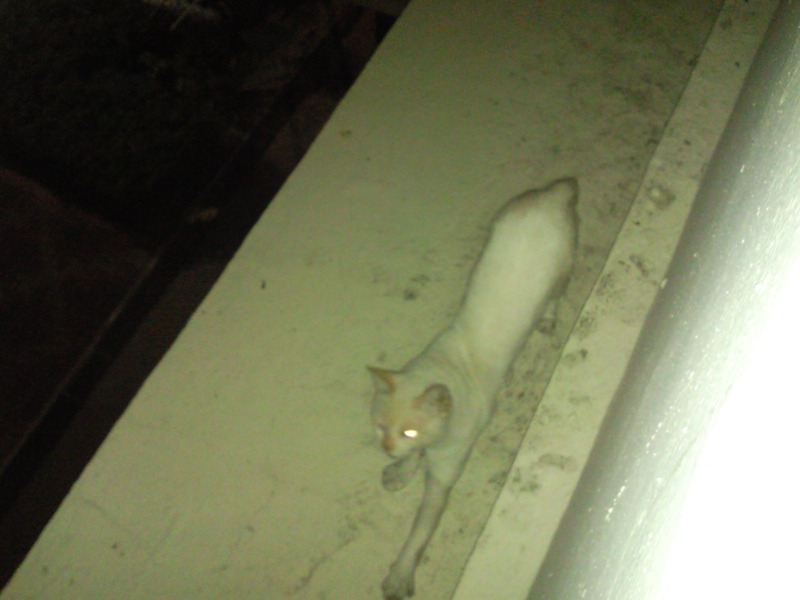 This white cat (stray) was again trapped on the ledge of a hdb block in Boon Lay Place Blk 214. 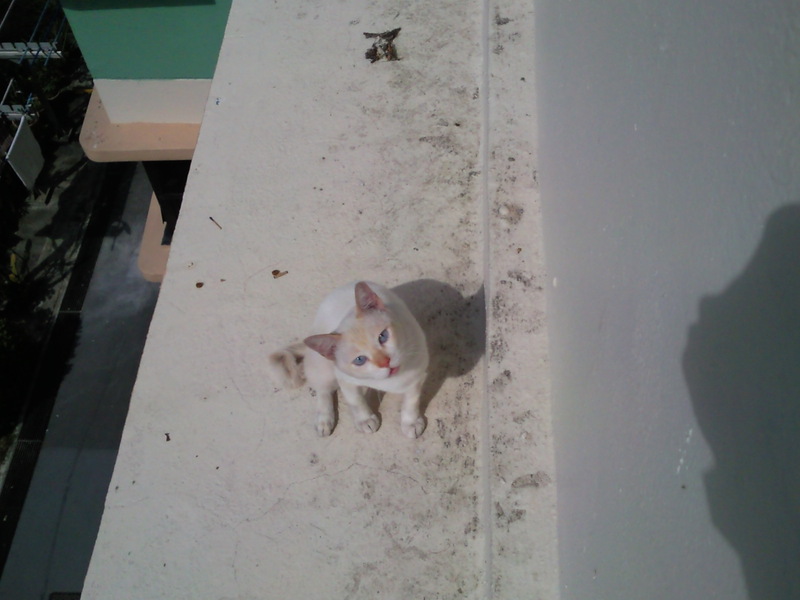 It was his second "unlucky" incident to be trapped on the ledge. 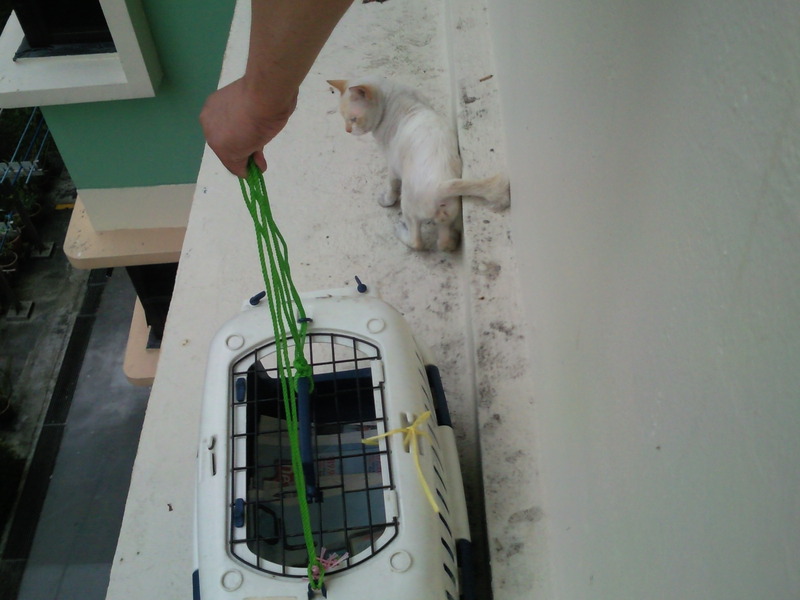 He was previously trapped on the 2nd floor last month on the 24th Aug, see previous story here . 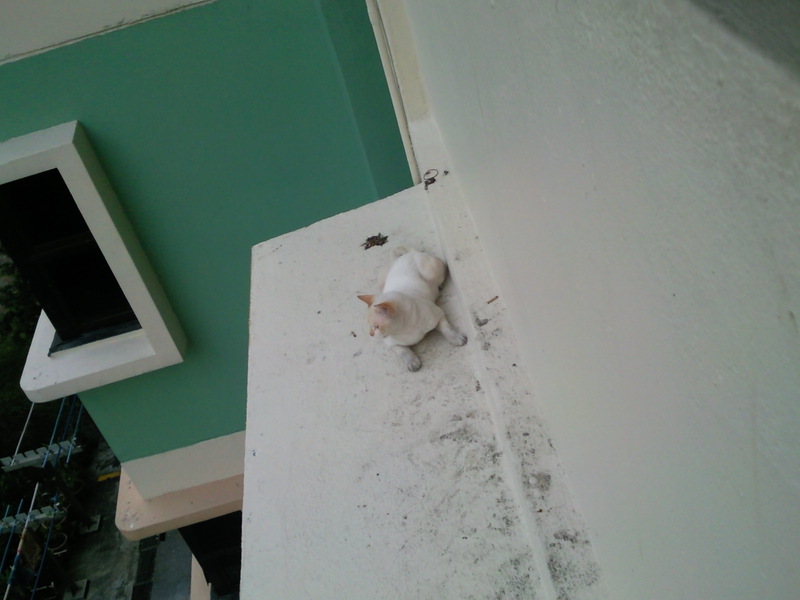 Someone has to climb over the parapet wall to bring him safely to the other side of the wall. 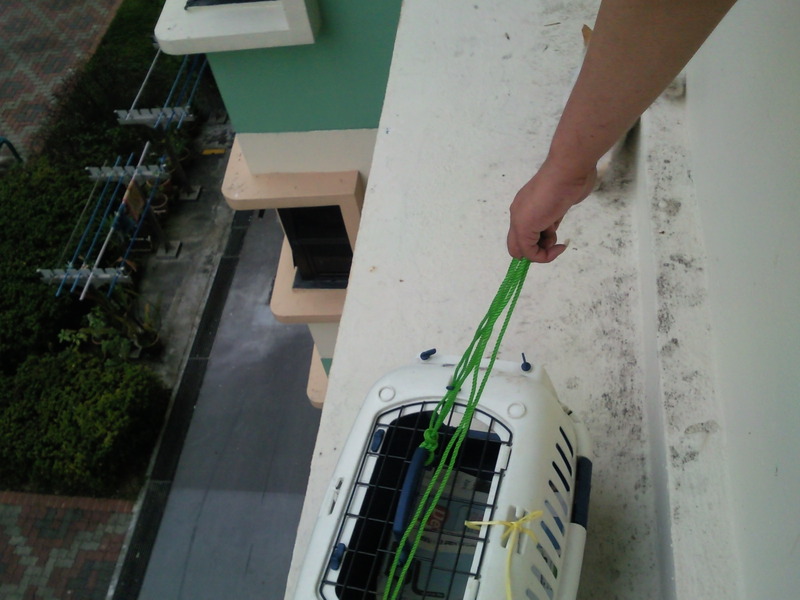 However, now it's more dangerous to rescue as the white cat is trapped on the 4th floor which could be fatal if the rescuer falls. 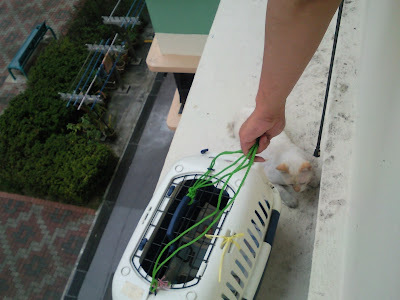 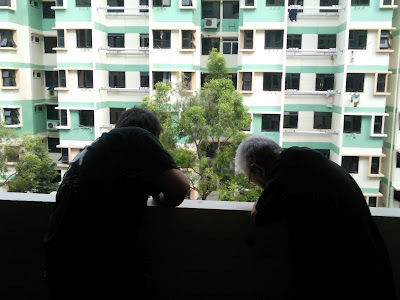 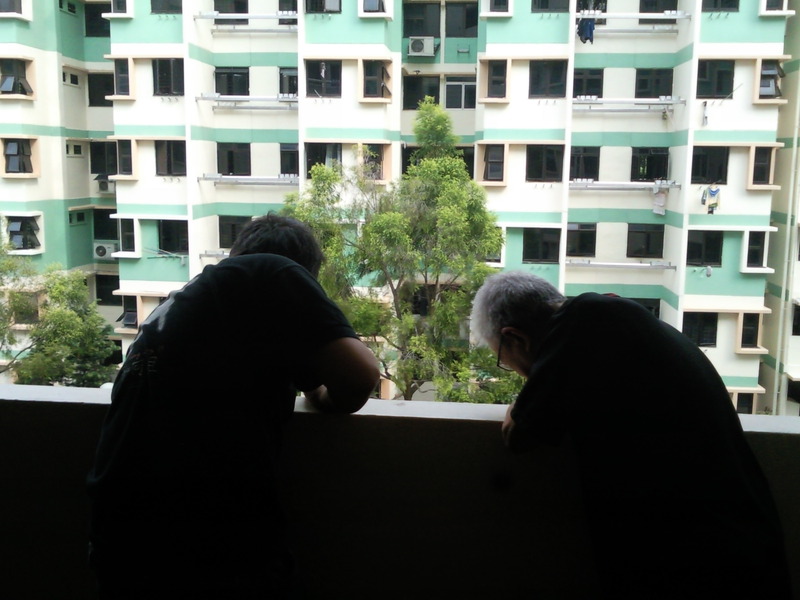 Hence, two cat lovers Uncle Jimmy and Mr Dennis in Boon Lay tried to use a cage with his favourite cat food food placed inside it to lure the white cat into it. 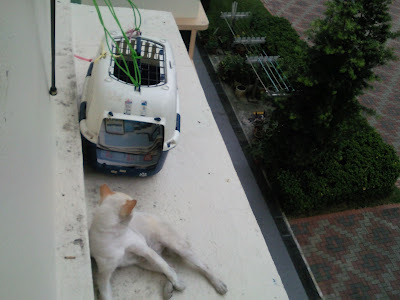 However hard they tried, the cat just refused to move in. 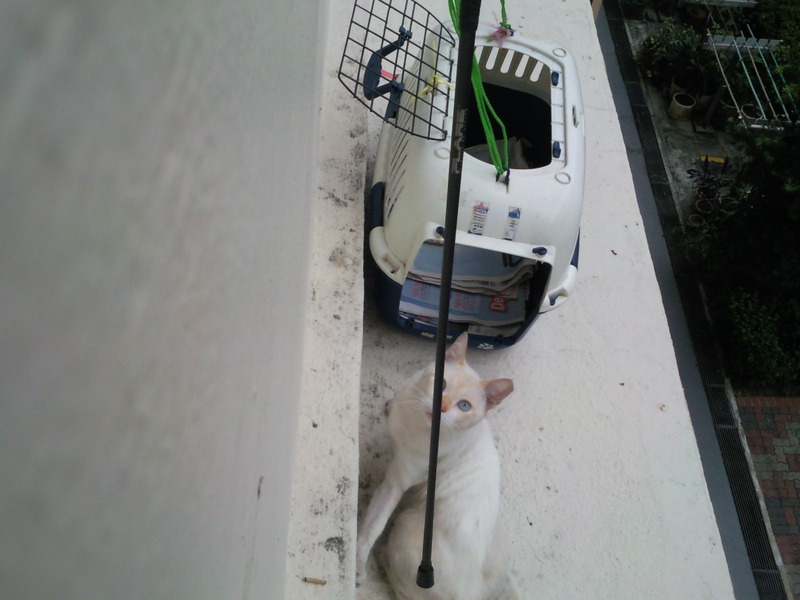 The white cat even hissed at the stick. Till now, I guess they are still trying their best to rescue the cat. We suspect it could be the job of a person who put the cat on the ledge, as this was the third time cats has been trapped this way. We hope not to see this happening the 4th time. 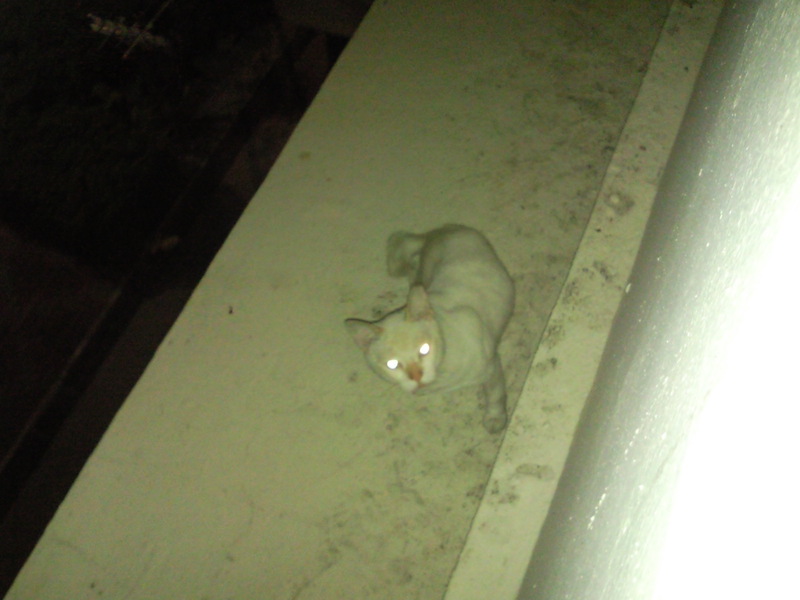 Latest news is that this white stray cat was rescued by cat trapper Mr. Vincent on 18 sept 2012. Thank you all for your concern.